Fabulous dress with an unelasticated quality from AX Paris. 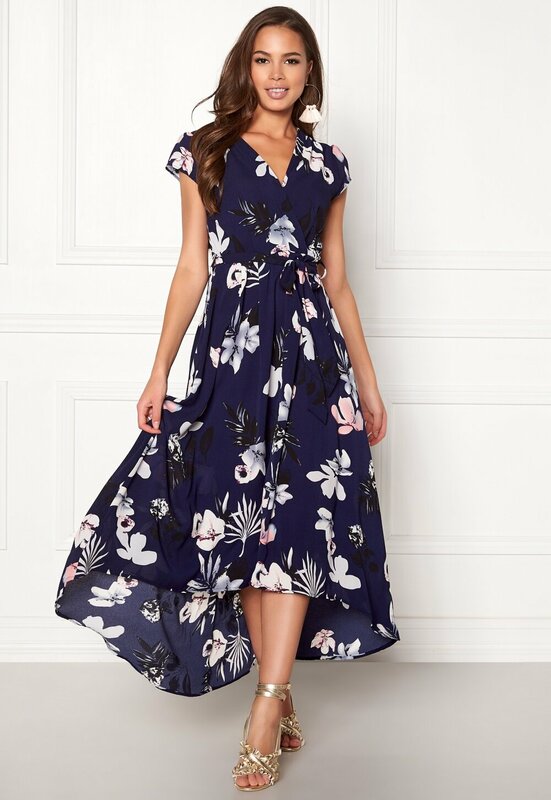 The dress has a wrap design at the top. 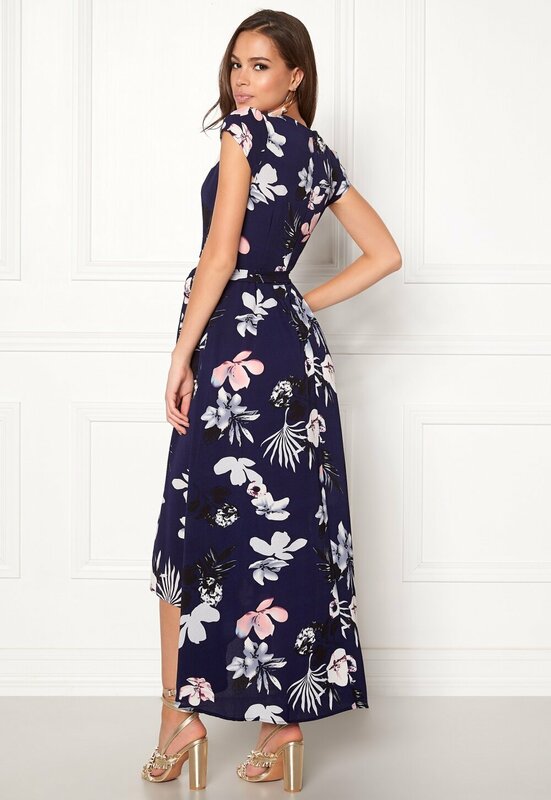 - Removable tie at the waist - Concealed zip at the back - The dress’ hem is lower at the back than at the front Back length from shoulder 115-135 cm, bust 88 cm, in size S. Hand wash.